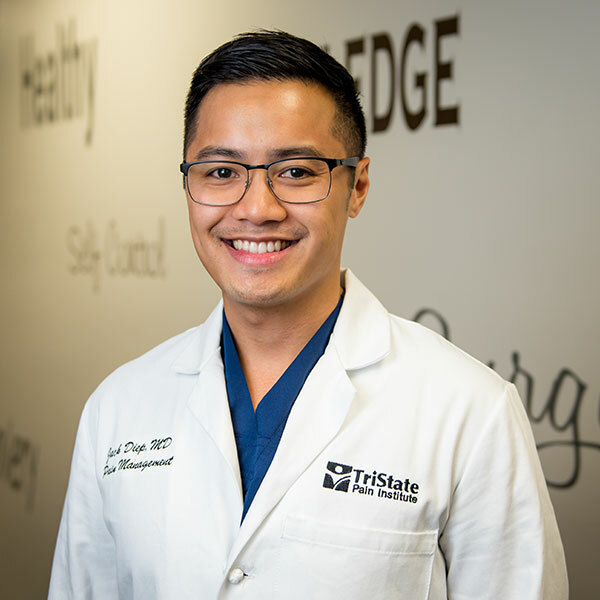 Dr. Diep completed an internship in General Surgery and a residency in Anesthesiology at Rutgers New Jersey Medical School. He was awarded the Chairman's Award for Academic Achievement in Anesthesiology upon graduation. He then went on to complete a fellowship in Pain Medicine at the Cleveland Clinic Foundation. During this time, he was mentored by world renowned physicians including Drs. Michael Stanton-Hicks, Nagy Mekhail, Richard Rosenquist, Jianguo Cheng, and Anthony Berg. His fellowship training allowed him to experience a breadth of interventional procedures and clinical trials for chronic pain management, including the latest technology for spinal cord stimulation prior to being available on the market. He is involved in pain research and has presented at local, regional and national conferences. Dr. Diep's goal is to help patients achieve functional restoration and an improved quality of life through an effective multidisciplinary approach to pain management, cutting-edge interventional techniques, and utilizing evidence-based medicine. His goal is to help you achieve your wellness goals and to live life to your fullest potential.